50.4x12.4x4.5 heavy wood construction sawn frame troller built in 1917 by San Diego Marine Construction. Don't let the age of this vessel scare you off without an inspection. Detroit 6-71 Hi block with approx 2,500 hrs coupled to Twin Disc 509. Packs 680 gal fuel in 4 tanks and 100 gal water in Stainless steel tank. Full electronics with Wagner pilot on hydraulic steering. Aluminum mast, walking boom, trolling poles, handrails, and hayrack. Set of 3 spool Simplex gurdies, tuna pinch puller, 17" crab block, no crab pots but some buoys, line, bait jars, and bait pins. Longline hauler. Two aluminum slush tanks in fore and aft end of slaughter pack 1,100 lb salmon each. Comfortable galley and accommodations. 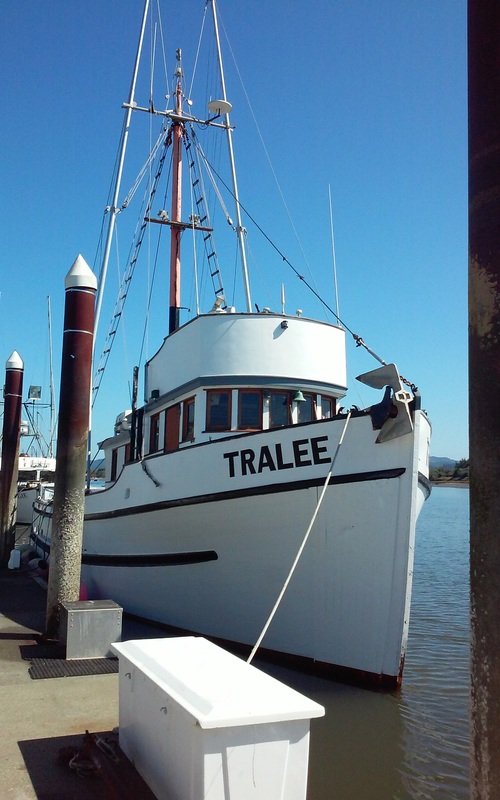 Brokers Note; The owner is a talented professional shipwright and has rebuilt many areas of the boat, including many new frames (4" white oak), planking ( Port Orford Cedar SS fastened), SS keel bolts, much aluminum work, stainless rigging, etc. 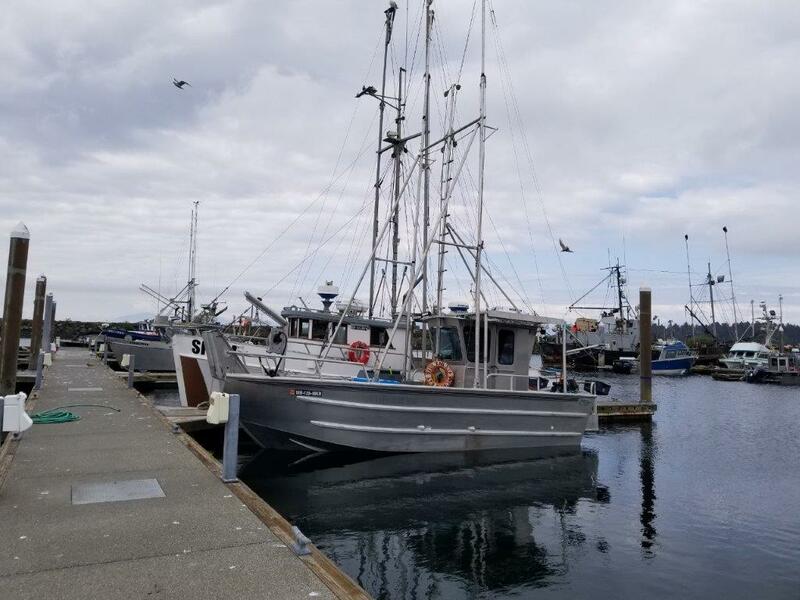 The fo'c'sle is very large and has ample room for a head/shower installation, Owner is retiring and the boat comes with an enormous amount of salmon/tuna gear, spare prop, and many spare parts/tools, and a supply of Port Orford Cedar planking and Fir framing material. Has new stainless steel propane stove not installed. Comes complete with Oregon troll permit and Oregon 300 pot crab permit. 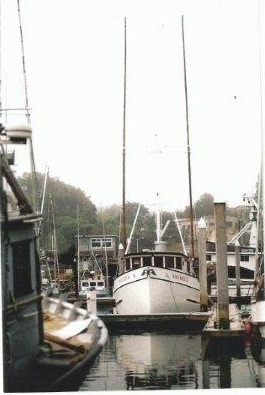 Boat not currently rigged for crab or longline. Asking $165,000 for complete package. Seller would like to retire soon, is motivated, encourages solid offers, and will consider terms with substantial down payment! -- seller may consider terms with substantial down payment. 25' Aluminum combination bowpicker that can be used for gillnet, marine set net, trolling, longline, crab, shrimp, or diving. Built by Crozier Craft in 2009. 300 HP Suzuki outboard with 105 hrs on rebuild. Packs 110 gal fuel, aluminum mast and trolling poles, 2 spool Simplex gurdies, Honda GX 390 hydraulic power pack, GHC 10 auto pilot, Furuno model 1715 radar, Raymarine A57D depth sounder/GPS, Lowrance Hook9 color GPS, Ritchie compass, Furuno GPS/WAAS Navigator, Packs approx. 3k pounds in below deck fish hold, 4 man life raft, 3 survival suits, epirb. Comes complete with triple axle trailer. Currently salmon trolling off Wa coast. 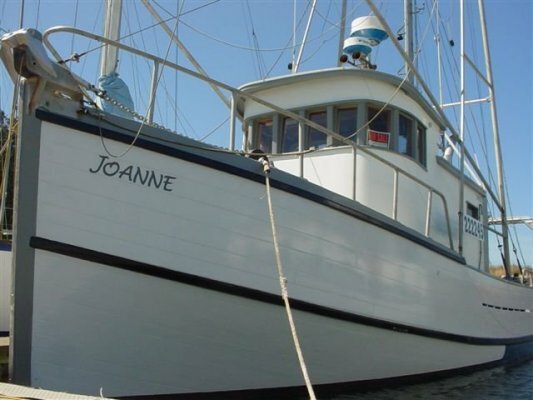 Owner reports she's set up to fish single handed and is very easy to fish solo. Asking $90,000 and solid offers are encouraged. 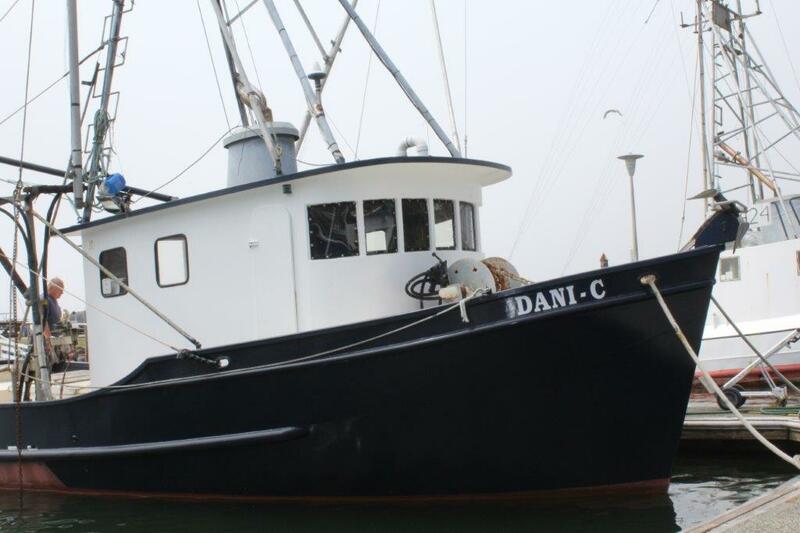 25' salmon troller/live fish fiberglass custom Radan designed built by H&F Boat Works in 2008. Yanmar 6LPA-STP 6 cylinder 315hp turbo diesel with approx 600 hours. New Mercruiser Bravo 2 outdrive with zero hours and stainless steel propeller. Two station steering and all modern electronics including new in 2017 side scan sonar. New aluminum sorting table with water circulation, insulated hold with freeman aluminum hatch for live fish or ice and also a deck mounted live fish hold for additional capacity. Hydraulic pot puller, longline hauler, and freshly rebuilt 2 spool Kolstrand gurdies. Lots of salmon and tuna gear. New survival suits and life raft in 2015. Comes complete with Oregon Salmon troll permit. Asking $68,400 and seller will consider terms with substantial down payment. Available at additional cost are 15 heavy prawn/ black cod pots and 20 stainless steel prawn traps. New line (1800' with droppers , anchors, floats, flags, radar reflectors and lights. 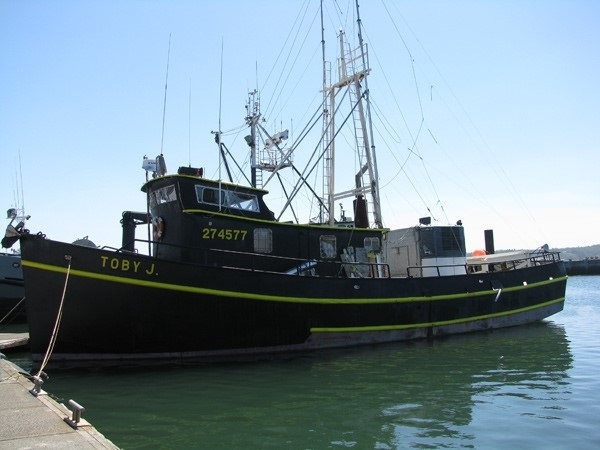 38'7"x12'6"x5'6" Sarin designed Steel crabber/troller/longliner built in 1995. Very economical Perkins 6354 coupled to Twin Disc 506-1 reverse gear. Izsusu 20KW genset. Packs 526 gal fuel and 35 gal water in SS tank. Hydraulic two station steering with Comnav 1001 and two jogs. New Furuno depth sounder and standard electronics including VMS Air blast reefer in insulated and glassed hold which packs 16.700lbs Black cod comes with all longline, black cod, salmon, and tuna gear. Longliner hauler, crab block, 2 tuna pinch pullers, and 3 spool Kolstrand gurdies. All SS shaft and all SS exhaust system. 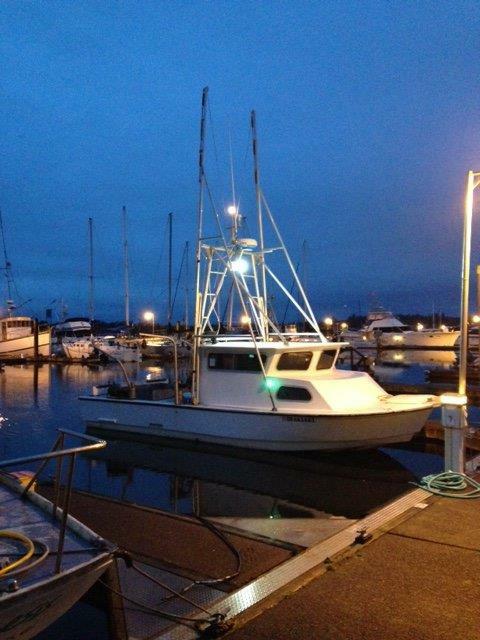 Comes complete with Oregon 300 pot crab permit good to a max of 48'7" and approx 185 pots, Oregon troll permit, halibut, black cod, and tuna history. Asking $239,500 for complete turnkey package. Owner is retiring and all spares go with boat.